Until recently, I had never really been a fan of Saint John the Baptist. All that camel hair and locust eating left a bad taste in my mouth (pun intended). He was so . . . different. I never understood why he couldn’t just be an Apostle like everyone else. Why did he have to do his own thing out there in the desert? And so dramatically? But I’m starting to think my criticisms of him were too harsh. Saint John the Baptist dedicated his life to making the Messiah known. He single-mindedly pursued the God he loved and shouted to others to do the same. Even as crowds gathered and religious leaders took notice, he kept on humbly pointing to Another. He knew his sole purpose was to prepare the way for the Savior of the world. These days I have more questions and fewer criticisms of Saint John the Baptist. What compelled people to make a pilgrimage into the desert in droves to hear this man preach, to be baptized by him? Surely it was the truth he spoke and the love he exuded that convinced them to make the trek. Hearts were converted to Christ before they even met Jesus because of John’s testimony. And today the Savior is still coming into the world. Yes, He will come again, at the end of days, but He is always coming into the hearts of His people. Who will go before Him now? Who will make straight the way of the Lord? When there are so many who have never met Jesus, who will be His voice? Sure, they may have heard His name, they may have been to church, they may even own a Bible, but they don’t know Him. Who will be His forerunner now? The Baptist’s witness make me want to live differently, speak truer, love better. I want to testify to this Light that has illuminated the darkest corners of my own heart, echo the call to remove every obstacle that keeps us from Christ, and invite the curious, the religious, and the skeptic alike to come to the water. 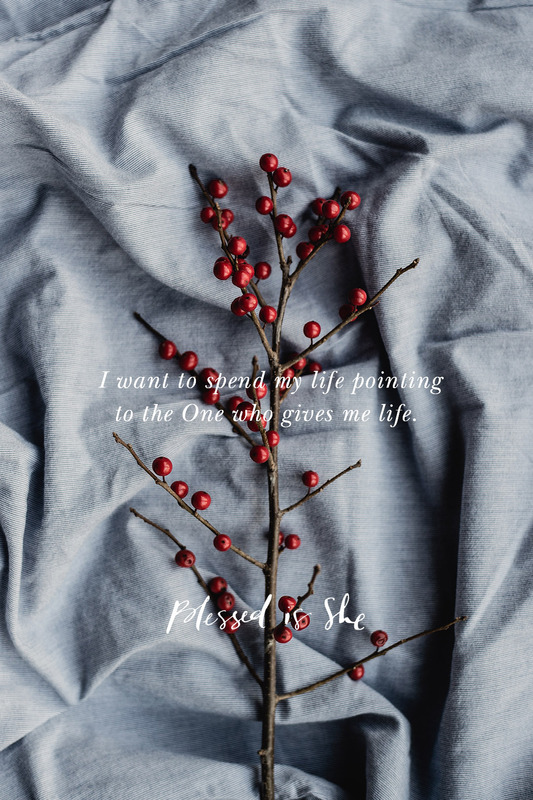 Like Saint John the Baptist, I want to spend my life pointing to the One who gives me life. And if I’m misunderstood along the way? At least I know I’m in good company. Where are you on your journey to going before the Lord? Resolve to bring a little more of God’s love into your daily life through spiritual music, a renewed prayer life, a visit to the confessional to get back on track.